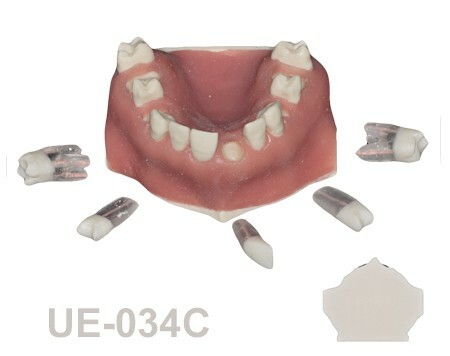 UE-034C: Maxilla with fixed and endo teeth. Cortical and cancellous bone. 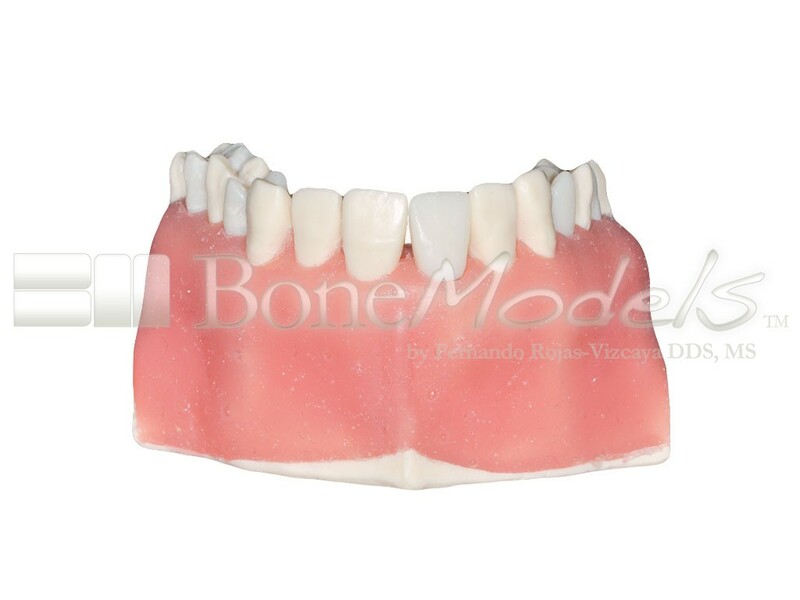 Model with soft tissue. Contact points opened on all the teeth to allow for suturing. 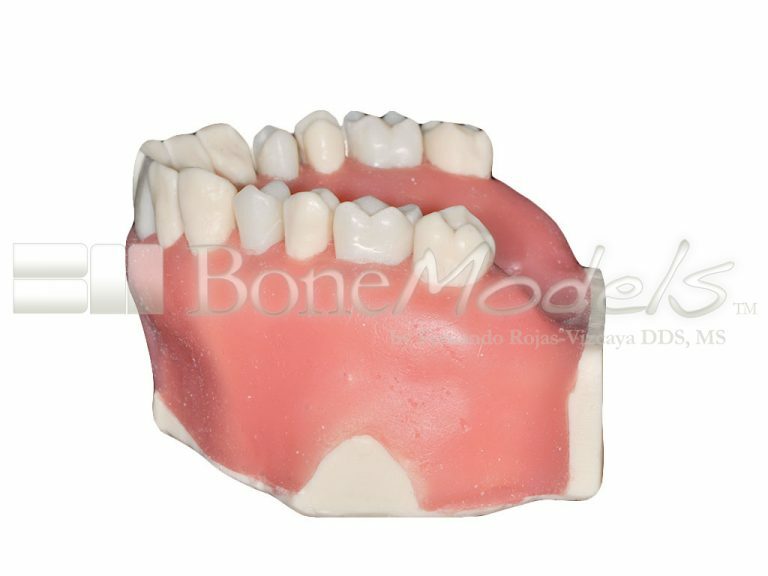 MAXILLARY ENDODONTIC SURGERY MODEL. 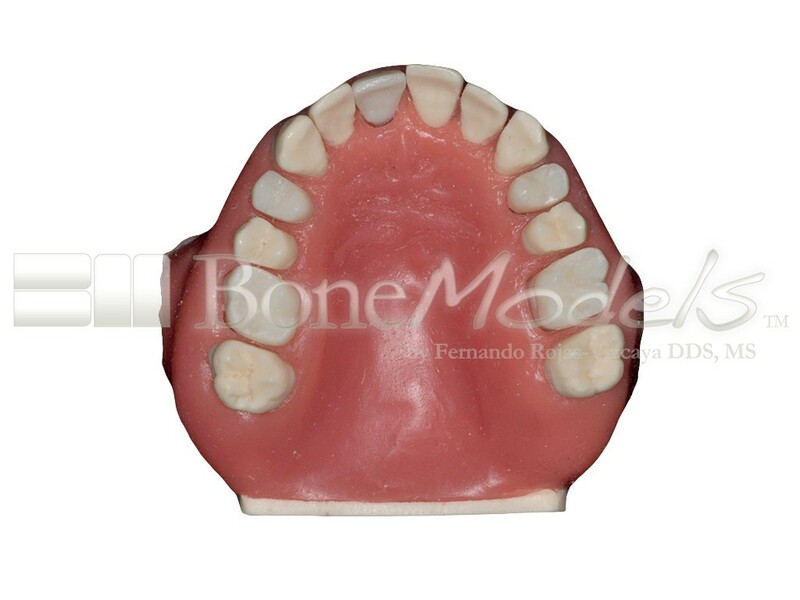 Maxilla with fixed and removable endo teeth. 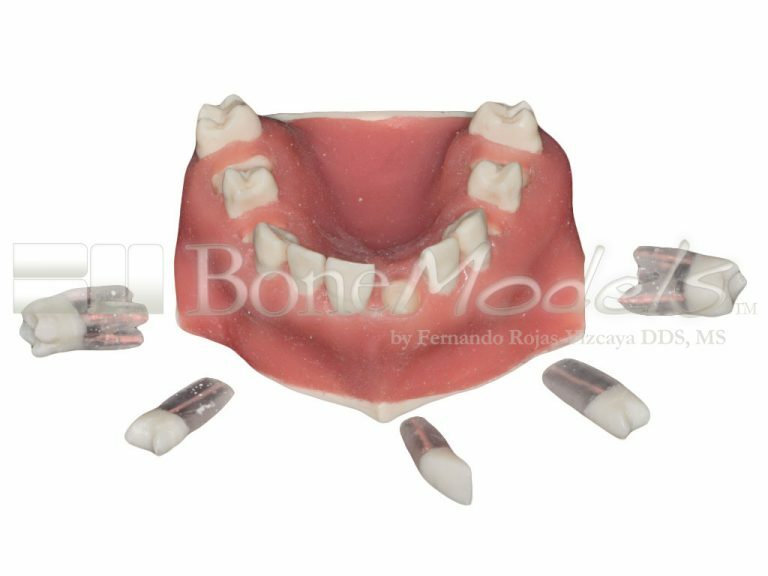 Endo teeth are: right 1st molar (16), right 1st premolar (14), right central (11), left 1st premolar (24) and left 1st molar (26). Endo teeth have a white opaque crown with clear roots filled with gutta-percha and periapical lesions larger than in UE-034A and coloured red. 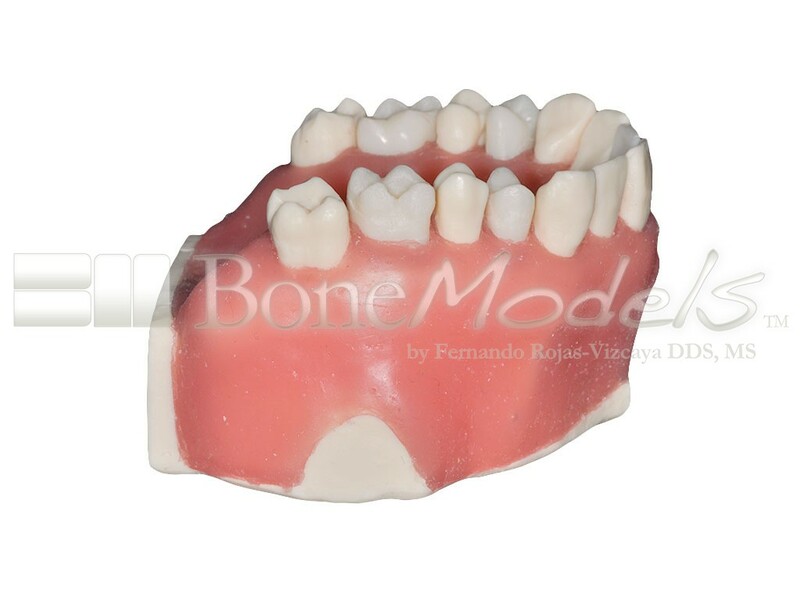 Model has anatomic bony contours, cortical and cancellous bone and soft tissue. Contact points opened on all the teeth, fixed and endo, to allow for suturing. Teeth can be radiographed. Designed by Dr. Rojas-Vizcaya (as all models) following the instructions, in this case, of Dr Steven A. Cohn endodontist and Diplomate, American Board of Endodontics.